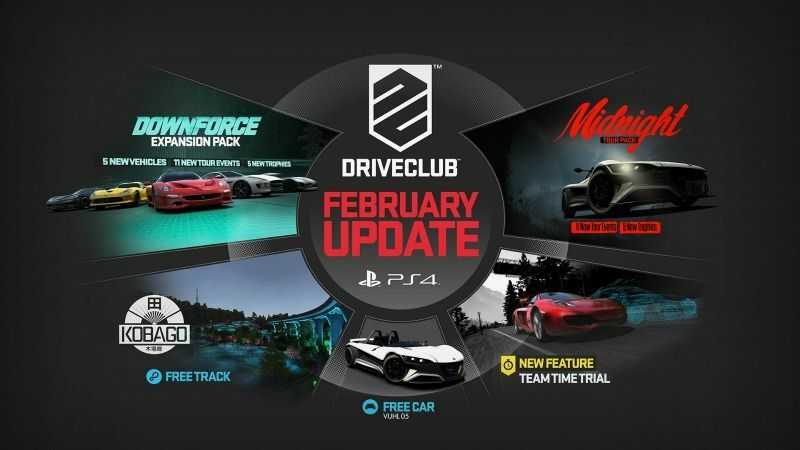 Above is a video released by Driveclub developers Evolution Studios-- which details all of the game’s updates in the month of February. The Downforce Expansion pack DLC will be added to Driveclub in its 1.11 update which is coming next week. Check out Driveclub’s 1.11 changelog below. Adds a new Multiplayer game mode: Team Time Trial. * Adds a new track offering 2 variants: Kobago in Japan. * All add-on Tours have new progress requirements: You need 8 Stars (previously 12) to progress to the second stage and 22 Stars (previously 27) to open up the final Championship. * Adds the ability to choose from a collection of factory Paint Jobs during vehicle selection prior to an Event. * Adds the option to enable the Rev Counter in cockpit view. * Decreases the threshold on the manumatic downshift limiter to allow players to downshift earlier. * Reduces the drying time for rain splatter on the screen when in Chase Cam. * Implements ghosting under certain conditions in Multiplayer races to prevent track blocking. * Allows the ‘Contender’ and ‘Unbeatable’ Trophies to be unlocked even if the challenges expire when you are not online. * Includes a number of minor bug fixes, performance improvements and usability tweaks. * Adds support for the DOWNFORCE Expansion Pack, coming to PlayStation®Store as a premium/Season Pass add-on. * The Downforce Car Pack includes: Ferrari F50, Chevrolet Corvette Z06 Centennial Edition, SRT Viper GTS, Koenigsegg One:1 and Jaguar F-Type R Coupé. * The Downforce Tour Pack includes 11 new Events and 5 new Trophies. * Adds support for the Midnight Tour Pack, coming to PlayStation®Store as a premium/Season Pass add-on. * The Midnight Tour Pack includes 11 new Events and 5 new Trophies. * Adds support for 2 new livery packs, coming to PlayStation®Store as a premium/Season Pass add-on. Each Livery Pack contains 5 new livery patterns to customise your cars with. * Server upgrades: to improve stability and performance for all current players and to enable the release of the PS+ Edition and DRIVECLUB companion app. * Private lobbies: Development of Private Lobbies for Multiplayer is ongoing alongside development of server upgrades. * Replays: are in the final stages of development and testing. It’s likely that offline replays will come ahead of Multiplayer replays. * Changes to drift scoring: to ensure that you are rewarded for momentum, control and staying on the track in drift zones. * Lots more cars: We can’t say what’s coming just yet, but many of your most commonly requested cars and manufacturers are coming to DRIVECLUB, along with a few surprises. * New ranks: because many of you are at Level 50 already. It's traditional to receive an exotic free car to download free of charge that all petrol heads appreciate. And, soon you can welcome the VUHL 05. The video posted above shows Formula One driver Esteban Gutierrez driving the VUHL 05 at the world famous Goodwood Festival of Speed. The car sounds amazing as it assaults the famous hill climb. 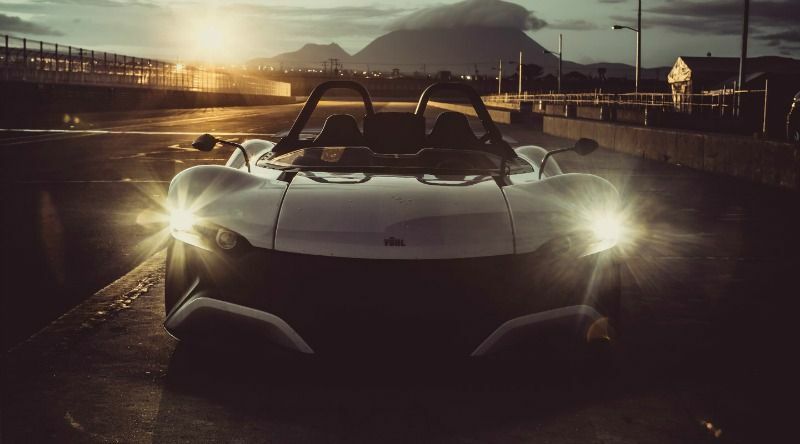 VUHL is the brainchild of automaker specialist Guillermo Echeverria Sr., and his sons, Guillermo Jr. and Iker. Guillermo Senior was a professional driver who built and successfully raced his own cars for 30 years. The sons inherited his profound passion for all things motorsports and also his knowledge and added qualifications in transportation design. 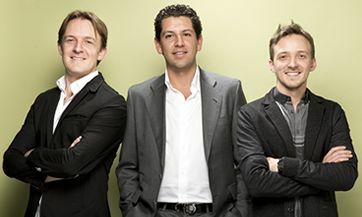 Guillermo Junior has direct experience of the performance car industry, while Iker won the Mexican QUORUM Industrial Design Award in 2007 when still a student – he was not only up against fellow scholars but senior designers, agencies and universities. "I WAS NOT EXPECTING THIS, I AM REALLY QUITE IMPRESSED"
The VUHL, landed in the UK from Mexico in June 2013 and ran the ‘First Glance’ class at Goodwood as part of the Michelin Supercar Run, and was piloted by the popular British driver, Duncan Tappy ( former Renault UK and Formula Ford Festival Champion),and at the time Mexican Rookie F1 Esteban Gutiérrez. The model was designed for the road and track, and comes as a response to cars like BAC Mono , Ariel Atom and KTM X-Bow . 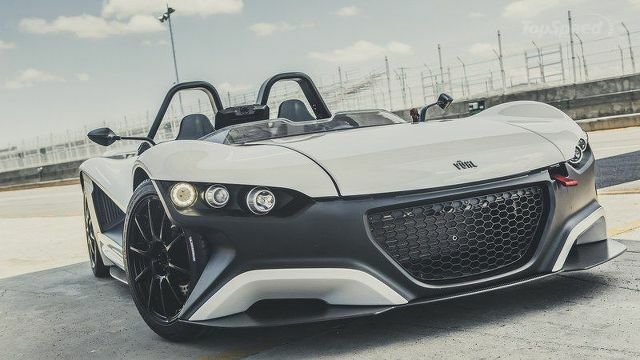 According to Iker, VUHL wanted to develop a "highly intuitive machine that was both stirringly fast and immense fun to drive – a car we ourselves would want to own." And the result was the new 05. Embodying the ultimate in automotive technology from around the world, the 05’s handling was fine-tuned in the UK, and underwent further testing and development. The body being fabricated in Canada, with chassis production and final assembly conducted by the advanced manufacturing team of Adman Leku in Mexico City. 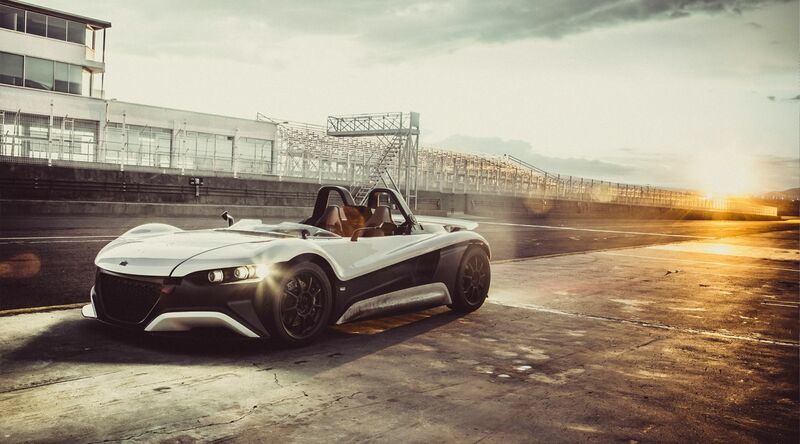 Backed by a number of blue-chip companies and the Mexican Government, and with an inventory of renowned suppliers and development partners that includes Ford, Multimatic and Michelin, the VUHL 05 has been precision engineered for the track and endowed with exhilarating performance for both the road and the circuit. The VUHL 05 is best described as a road-legal lightweight supercar that has been precision engineered for the track. To show how serious a piece of kit this is for the track they have included an built in HD camera with console-mounted control that allows track-day enthusiasts to record their driving at the push of a button. The VUHL 05 has a 2000cc, 4 cylinder, DOHC, turbo charged engine (ECOBOOST) which produces 285 Bhp. Now this might not seem much but add in to the mix that fact that this car weighs just 695 Kgs (1532 lbs) and you have a beast on your hands. It is built on a monocoque that weights just 171 pounds(RTM reinforced plastic), which helps ensures a dry weight of just 1,532 pounds. 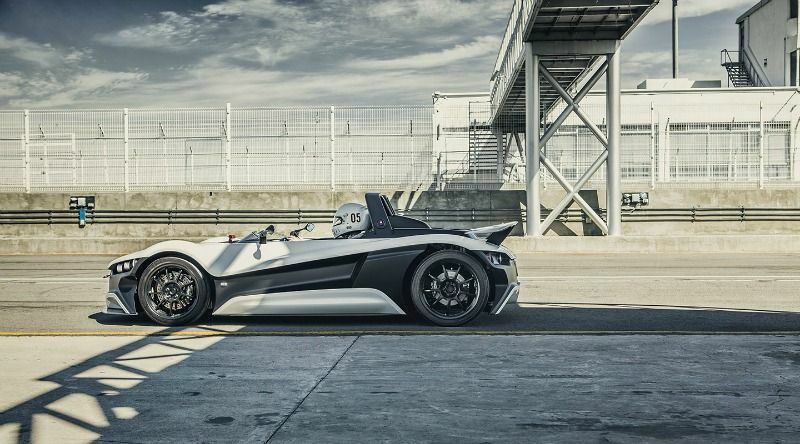 VUHL built the chassis, using aerospace technology and used a three-section bonded tub constructed from aluminum extrusions and aluminum honeycomb for rigidity and low weight. This structure, combined with a three-stage forward crash structure and double layer sidewalls, help provide a high level of protection. There is also an aerodynamic package that includes a flat under-body, front and lateral splitters, rear diffuser and rear spoiler to help increase downforce and reduce drag. The VUHL 05 will reach 62 mph from a standing start in just 3.7 seconds and will go on to reach a maximum speed of 152 mph (245km/h). The brakes are kinda grippy too. You’ll come to a complete stop from 100km/h within 32 meters. Maximum torque comes in at 420 Nm (Torque @ RPM:309) and the cars sits on 18 inch wheels at the rear and 17’s up front. Displacement:2.0 L .
Just a short wait to be able to drive this beauty in Driveclub. Until then, enjoy a couple more screenshots! For more on the Playstation 4 exclusive racer check the official Driveclub website. The latest update for DriveClub is available to download now, introducing a brand new track (Kobago-which can be raced in reverse; see video below) and a wide range of tweaks designed to improve last year's title. Players will also now find it quicker to progress through Tours, with less stars needed to open up the final Championship. The file size comes in at about 700mb, the update also paves the way for the PlayStation Store update set for next week, which will offer the Downforce expansion pack and Downforce Car Pack, the Midnight Tour pack and extra liveries. Adds a new Multiplayer game mode: Team Time Trial (available Feb 18th). Adds a new track offering 2 variants: Kobago in Japan. Multiple tweaks are being worked on for a future update, Evolution says, including replays, private lobbies, an increase to the level cap, drift scoring changes and server upgrades to "enable the release of the PS+ Edition". 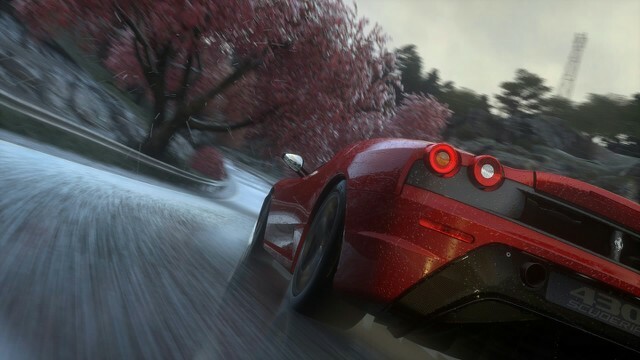 DriveClub's next wave of DLC launches in Europe next Wednesday, February 25. Third Person View available in the video below. Featuring the B2 Marrussia. And Finally, the new track variant in Reverse!